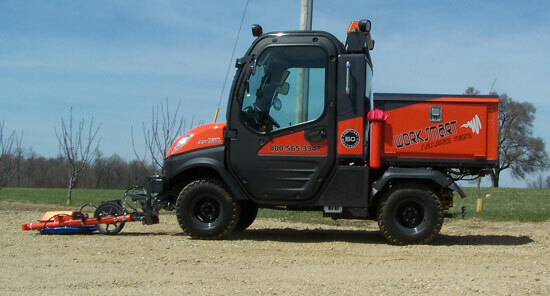 In 2007 Worksmart, Inc purchased a new Kubota RTV-1100. 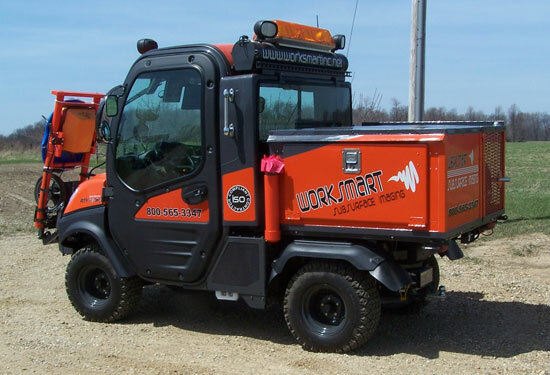 This four wheel drive, diesel powered vehicle was heavily modified and fitted with our unique ground penetrating radar system. It began field work in April 2008. 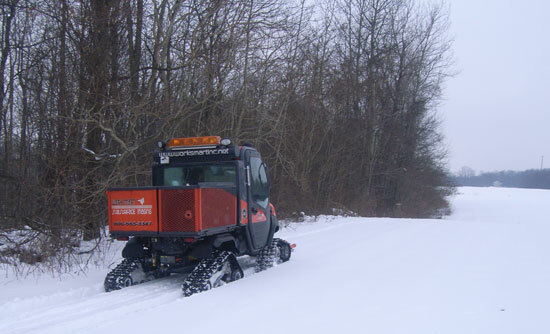 Since then the RTV-1100 has successfully completed close to one thousand GPR projects. The reliability, power and speed of this equipment keeps Worksmart, inc the leader in large area scanning. Camoplast ATV tracks were added to our workhorse RTV-1100 in 2010. These high tech tracks reduce the ground pressure of the RTV and provide incredible traction over all kinds of terrain. 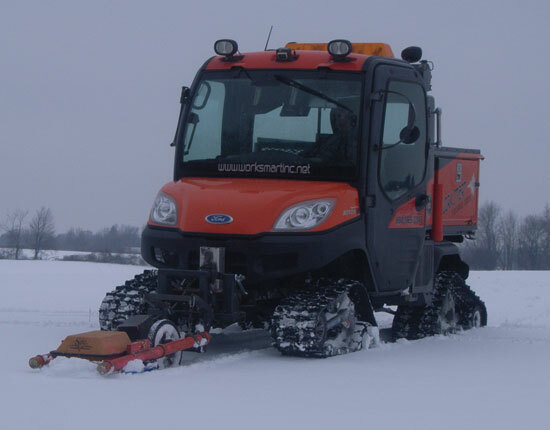 Many of our sites can be snow bound and inaccessible by even four wheel drive vehicles. The Camoplast track system insures we can not only get to our project area but that we can complete the scanning anytime. In addition our RTV with the track system can perform ground penetrating radar scans over soft sand and in areas were a low ground pressure vehicle will impact sensitive fauna less than a person on foot.